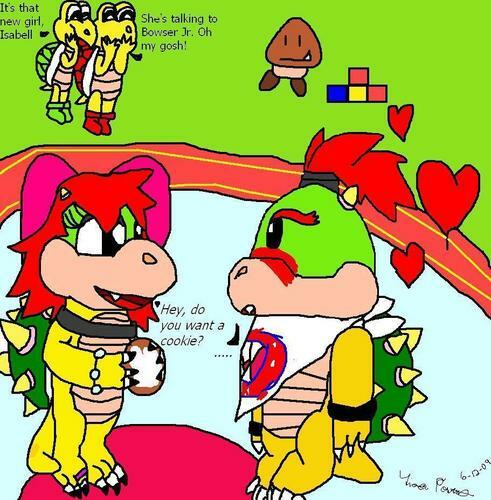 Bowser Jr. and Isabell. I uploaded this picture on Super Mario Bros. club, but I'm just going to upload mario fan art on both. HD Wallpaper and background images in the Nintendo club tagged: nintendo bowser jr. isabell caring love cute. This Nintendo fan art contains anime, comic book, manga, and cartoon. this is soooo cute! I'm doind one wit Kooky von koopa an dmy character mya.